An owner of a hardware store in Grainger County, Tennessee decided to stick to his beliefs such as they are. 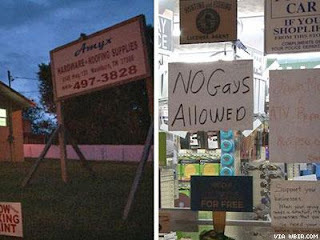 Jeff Amyx, who also happens to be a Baptist minister put up a sign in his store window that says, "No Gays Allowed." "They gladly stand for what they believe in, why can't I?" Amyx told WBIR. "They believe their way is right, I believe it's wrong. But yet I'm going to take more persecution than them because I'm standing for what I believe in." Amyx said he has no plans to take the sign down. Actually, the correct word is prejudice and it's the same as it has always been. 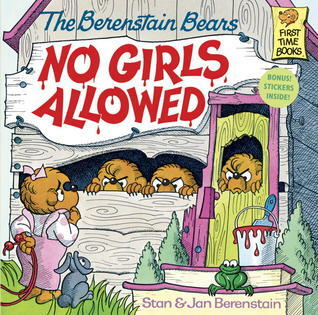 It's not nice to exclude. Reminding you of your manners is not persecution.